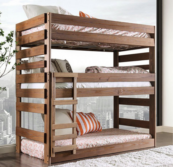 Kids only furniture offers widest variety of triple bunk beds in Los Angeles. 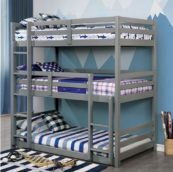 We carry triple solid wood bunk beds as well as metal bunk beds. Check out the largest inventory of triple bunks in town. Whatever your style might be, Kids Only will satisfy all your bunk beds needs. 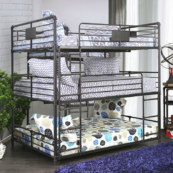 Kids Only Furniture is your one stop shop for all your triple bunk needs. 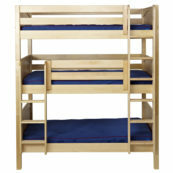 We carry bunk beds in virtually any color, finish and style. Whether you are in market for a modern or traditional triple bunk we have it all!